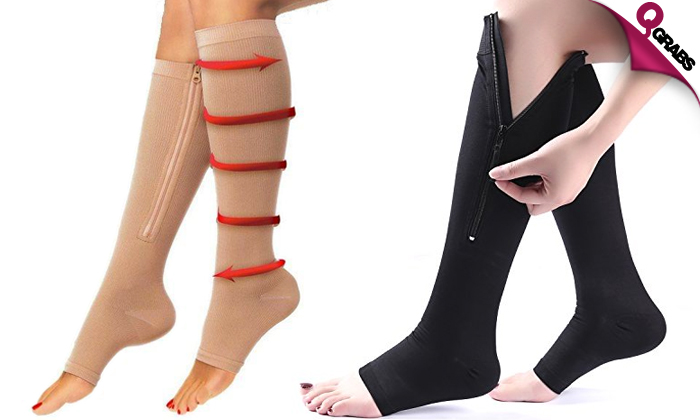 These zippered compression socks are designed to help in soothing and revitalizing the legs to increase blood circulation and reduce swelling. The toe-less design fits every foot size and the pinch-resistant zipper makes these socks easy to put on and take off. They are made with breathable nylon, spandex blend that allows them to be worn with any type of shoe. No more sore leg days for 41% off!